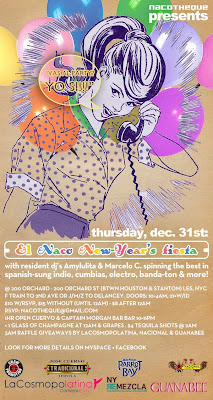 Amylulita says...: Dec. 31st Nacotheque New Years Party in NYC!!! 10pm - 11pm OPEN BAR!! !